You will be happy to know that our battery has had the honour of firing the first shot of the day, as enemy horses first hovered into view, right before six in the morning, on September 2, just west of our position, on the distant slopes. They were a long way away, but just within the range of our guns, as was our judgment, and right we were. Gen. Gatacre and staff were on their mounts, right behind our unlimbered line on the knoll. He stared at the distant enemy, through his binoculars, for quite some time. It was hard to see that far, as the sun was still rising across the river Nile, behind us. I borrowed a pair of binoculars from the commanding officer of my section, as I had left mine in the baggage, on the transport. I could barely discern the silhouettes of the distant horses, but there they were, on the low rises. They looked to me like a far away line of trees, enveloped in the night’s darkness. The General decided they were just within the range of the guns and ordered to prep and fire. “Just the one volley, gentlemen”, he ordered. I was in charge of the two guns, on the far left of our line. Just before we unleashed the volley, Lord Kitchener cantered on, and joined the rest of his staff already there with us. Such an audience we had. The whole army was probably already aware that the enemy was approaching. We fired. “That was a hit!”, someone shouted behind me. We had no idea of what had happened, but the men cheered all the same. A few minutes passed and the smoke cleared. “They’re gone, Sir!” again someone said. I could not see anything, of course, from where I was and without the aid of binoculars. “Aye”, I thought, “well done then”, and walked towards the rear to refill my canteen, as for some inexplicable reason, I felt that my throat was already parched, while the day was still dawning. When I had rejoined the battery, I heard that our cavalry on the Kerreri Hills, north of our position, had spotted the Ansar approaching in great numbers, horses and foot. Lord Kitchener had positioned our regulars on the left flank, southern edge of our line, anchored on the river. In the center and right, north of us, were the colonials, also anchored on the river. We formed a gigantic arc, like a reversed D, with its spine resting on the river. Most of our gunboats were positioned right behind us, a few north of our position at El Egeiga, a few south, towards the town. I was able to hear all the conferring and the orders being given by our commanding officers, as they stood only a few paces away from me. The two Rifle Brigade battalions held the far left of our lines which were anchored on the sandy banks of the Nile. They were ordered to advance and climb out of the shallow banks onto the plain, so that they could bring their rifle fire onto the enemy, if needed. Through the gap - and I could see well their column from my vantage point - out went the proud Lancers of the 21st, galloping south through the infantry lines, to position themselves at the old Fort site, some 600 yards from the southernmost portion of our line. As the sun rose, we could finally see out in the distance. The hills west of our position were clearly visible and the very first thing we noticed was a sandstorm. Or that is what it looked like, at first. It was rather an immense cloud of dust that rose from behind the slopes, and it seemed to be moving north, from left to right. It had been an hour since we had fired our volley towards the enemy horsemen. 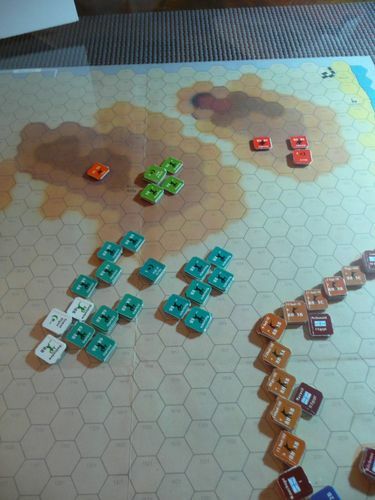 Our defensive line looked strong, arching away to my right, the bariza bristling with rifles and guns. I could see the gunboats in the river, and our regular infantry in khaki, to my front and left, the Maxims, the field artillery, and the old Fort, south of our position, solitary, and the Lancers standing there. There was no enemy to be seen, just that distant cloud of dust. I heard bits and pieces of the conversation from the general staff. They sat in chairs now, some of them, others stood, a canopy over their heads. 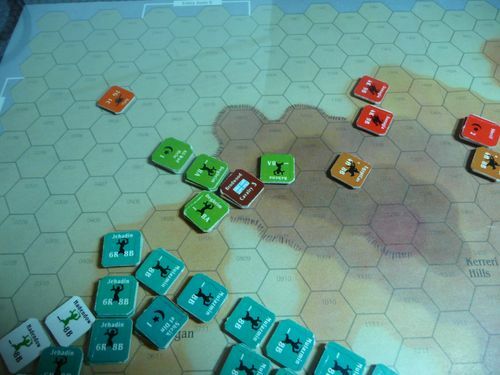 There was talk about moving south, towards Omdurman, the Lancers scouting ahead. Time passed and it was getting very hot. It must have been close to 8 a.m. when there was a commotion to my right, everyone pointing fingers and binoculars north, and there I saw the cloud of dust again, or rather a second one I noticed directly. Camels! Theirs? Ours! Our Camel Corps, moving fast towards our lines. Then the sound of rifle fire resounded from the north. “Our cavalry is engaging!” someone shouted. The Ansar were coming from the Kerreri hills. Soon after, field guns boomed in the distance. Broadwood’s horse artillery, surely. 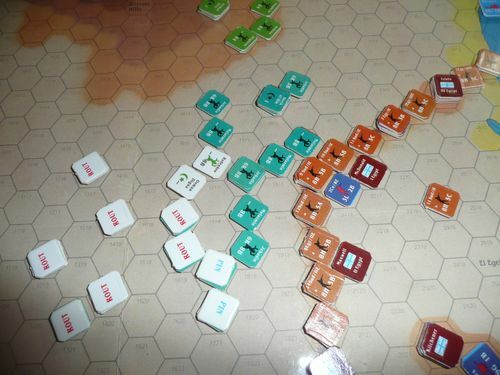 The Camel Corps had finally entered the safety of our lines and took position behind the Egyptian III brigade, directly north from where I stood. I thought we should turn our battery around and face that direction, but no such order was given. Our guns were still facing west, across the empty plain. There was no sign of Broadwood’s troopers, though. The sound of the fighting on the Kerreri hills was never-ending. Field guns still firing, then other guns responded. There had been rumours of the enemy having cannon of their own. More rifle fire. More dust, clouds of it, was rising out of the hills to the north, and no sign of the colonial cavalry. Yet, no order was given to any of our units to sortie out of our defenses. We all kept staring at where the sound of fighting was coming from. I heard men marching behind me, and I saw our reserves – the Fourth Sudanese brigade, I think - marching out of the village, heading south, towards our defensive perimeter and the gap previously occupied by the Rifle Brigade. Lord Kitchener was sending men south. To Omdurman, then. "Not a single man stepped away, Sir..."
Very nice narrative. Having just re-read Kipling's "Recessional" the other day it seems quite timely. This is a good little game. It helped convince me to invest in 15mm miniatures armies for the entire battle (Old Glory minis; they kindly accommodated me with extra Egyptian camel riders and cavalry horses as their line doesn't include Egyptian cavalry). Much painting ahead . . . The old "Remember Gordon!" 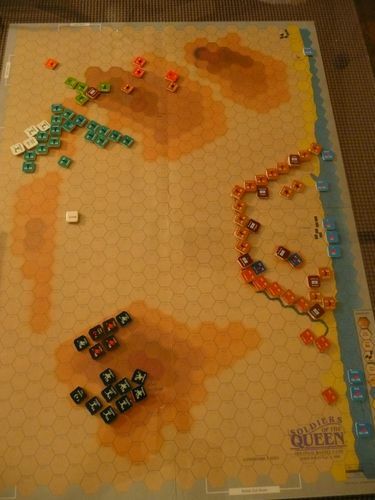 game is also great fun; the map extends further both north and south, allowing the Sirdar's approach and the potential for a street fight in Omdurman, though SotQ's combat system is somewhat more sophisticated. Edit: forgot to mention, good photos, too! I just got a copy of this one myself. Reading your AAR really makes me want to take this one for a spin.